Q: How many Noynoy Aquinos does it take to change a light bulb? A: One. But the more important question is: will he do it? A: Two. One to change it and another to release photos of him installing the new bulb. Q: How many Jejomar Binays does it take to change a light bulb? A: 10. One to change it and nine to send a text blast telling Filipinos about his accomplishment. Q: How many Niel Tupases does it take to change a light bulb? A: 45! No, only 24. Wait, it think it’s 6 17. Q: How many Serafin Cuevases does it take to change a light bulb? A: Two. One to install the new bulb and another to defend the materiality, pertinence, and relevance of the installation. Q: How many Miriam Defensor-Santiagos does it take to change a light bulb? A: Two. One to change it, and another to lecture the electrician on the correct way of installation. A: Four. One to change it and three to talk about how much better it was during Martial Law. A: He won’t. He thinks the ladder is defective. Q: How many Miro Quimbos does it take to change a light bulb? A: Two. One to change it and another to blame the media if the new bulb doesn’t work. Q: How many “small ladies” does it take to change a light bulb? A: Maybe one. Or none? Nobody knows for sure. Q: How many Renato Coronas does it take to change a light bulb? A: Only one. But some sectors will question his capacity to finish the job. A: ‘Di na kailangan ‘yan. Genesis 1:3: And God said “Let there be light.” And there was light. Q: How many Gloria Macapagal-Arroyos does it take to change a light bulb? A: Two. One to change it and another to write a book about the burnt bulb. A: At least five. Again, the ceiling is too high. Q: How many Judge Jesus Mupases does it take to change a light bulb? A: You’re late. He just did! Q: How many Franklin Drilons does it take to change a lightbulb? A: Only one. But… careful with the ladder! Q: How many Lakas politicians does it take to change a light bulb? A: Lakas? What Lakas? They’re now Liberals! Q: How many Ex-Palawan Governor Joel T. Reyeses does it take to change a light bulb? A: Two. One to change it, and another to shoot the old bulb. Q: How many Communists does it take to change a light bulb? A: Two. One to change it and another to blame America for the burnt bulb. Q: How many Pulse Asias and Social Weather Stations does it take to change a light bulb? A: Depende. Sang-ayon ba kayo na sila ang magpalit ng bumbilya? Q: How many Zeny Maglayas does it take to change a lightbulb? A: Two. One to change it and another to file a complaint against the manufacturer of the original bulb. Q: How many Philippine Daily Inquirers does it take to change a light bulb? A: Four. One to change it, one to take photos, one to publish the unflattering photo, and one to apologize for the publication of the photo. Q: How many North Koreans does it take to change a light bulb? A: Only one but there’s no assurance that the new bulb will work upon installation. Q: How many Sharon Cunetas does it take to change a light bulb? A: Two. One to change it and another to tweet a Biblical passage related to bulbs. Q: How many Grace Lees does it take to change a light bulb? A: Two. One to change it and another to tell the press about the experience. Q: How many Azkals does it take to change a light bulb? A: Eleven. Two to change it, and nine to laugh during the installation of the new bulb. A: Two. One to change it, and another to blame the state for its lack of support. Q: How many Ateneans does it take to change a light bulb? A: Two. One to change it, and another to brag about the feat. Q: How many La Sallistas does it take to change a light bulb? A: We don’t know. We forgot the calculator at home. A: No need. They have candles. Pray na lang muna. Q: How many UPLB students does it take to change a light bulb? A: They don’t need to replace the light bulb. They need to replace their mayor. Q: How many Wenn Deramases does it take to change a light bulb? A: Only one but he needs Deejay Durano to hold the ladder. Sarangani Rep. Manny Pacquiao is set to join PDP-Laban. From Lakas to Nacionalista to Liberal supporter to Laban member. Pacman doesn’t need a party. He needs conviction. You say Pacman “needs conviction”. Why? Who do you think he is, Corona? BIR will give him the conviction he needs. Pacman should share his money in trading with ETERNITY FOREIGN EXCHANGE INC. para marami syang matulungan na businessman. but sadly most students in elbi came from other places. Only those registered there can vote for it..
katuwa talaga. I just miss #QUIZtion. I don’t know why I’m blocked on your twitter sir. huhuhuhu! blocked? or probably maybe naka-private ka. Thank you for another dose of relevant entertainment that punctuates my hurried life. Malayo kasi yun, Senior! Ang hirap kayang pumunta doon! Nice insights – and so true! How many kris aquinos does it take to change a light bulb. – Dont! – she looks better in the dark. how many light bulbs does it take for libertas to be a professional heckler? 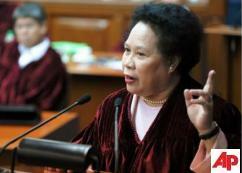 How many Miriam defensor santiago? two- one to find someone else to do it for her and the other to blabber about the material significance of the light bulb and its impertinence of being busted, audacity of its presence when everything is dark.. yadah, yadah, yadah, “GTFO! !” she finger points at the cringing light bulb. Q. How many Taylor Kitsches does it take to change the lightbulb? A. Five. One to change the lightbulb, one to tell a story about how he was treated badly at the store where he bought the lightbulb, and two to smack each other’s heads as soon as they realize that they bought the lightbulb at the wrong store. And the fifth, to take the fall for everything that has happened over that lightbulb incident. …..and i am proud of you! At least aminado ka! Ahihihihihi! Brutal Fact. Haha! Now I know why you have “many” followers. Lol. pacquaio is junking villar for binay, well what is new in this rotten philippine politics. as early as this , seems he already know the trapos’ way of politicking. by the way did he hear god talking to him regarding this switch? Naku koya, ano namang switch yang pinagsasabi mo? Light bulb po ang pinag-uusapan dito! Hahaha. Welcome back etchos, we missed you. ateh etchas este etchosera, dami nyo nang nag comment sa light biulb sasali pa ba ako? don naman ako sa ‘in other news’. tsaka teh, kung switch man sinabi ko related din yun sa bulb, di ba? cool ka lang teh, cool. magagalit si senior sa yo nyan. Kumusta kayong lahat dyan.. God Bless! An ‘anonymous source’ says she has a little lady to do it! i cant even light a candle to ph. am a businessman, not a heckler – not even a trainee amateur one! look forward to reading your witticisms one day! I am inclined (not upright) to agree on your last sentence. that will have them rolling in the aisles. dont give up the day job! how many phil. presidents does it take to change a light bulb? do we really need them to change the light bulb? Q: How many Pinoy does it take to change a light bulb? A: Two. One to change it and the other one is change it too BUT learn why you have to change the light bulb. Hi! 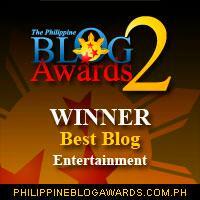 Nag blog hopping lang ako and then I stumbled upon this blog.